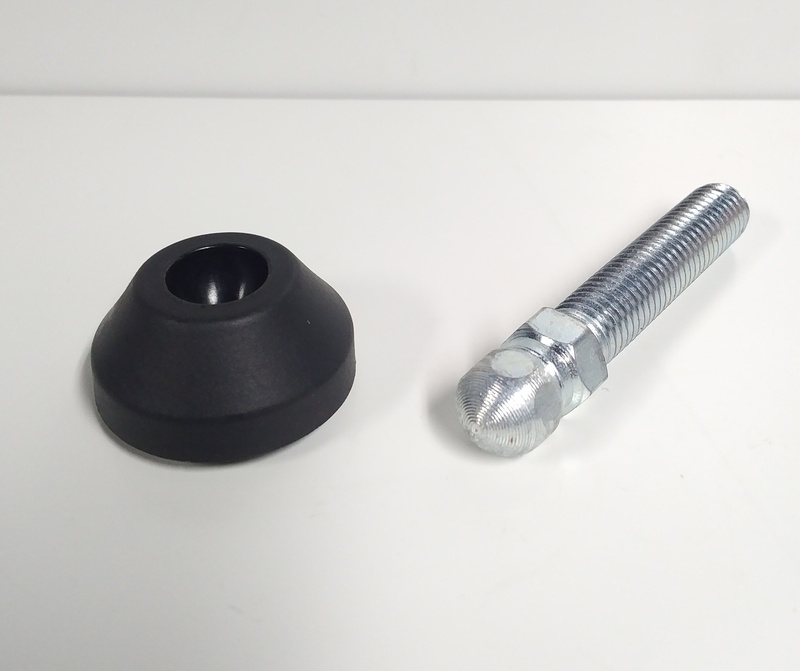 Home / 45 Series / 10mm slot / (LF-045-A1) M12 Adjustable Leveling Foot, Small Anti-Vibration Base, 55mm long threaded rod. (LF-045-A1) M12 Adjustable Leveling Foot, Small Anti-Vibration Base, 55mm long threaded rod. 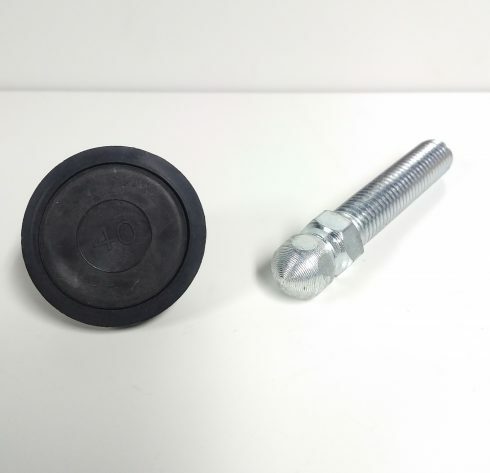 45 Series Black Nylon Small Anti-Vibration Base Leveller, M12 x 55mm stud, TNUTZ Part #LF-045-A1. GREAT DEAL!! 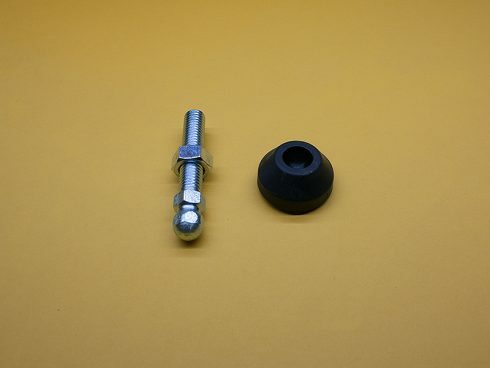 These Levelers will fit in the 45 Series extrusions. The Small Ø40mm Nylon Base comes with an anti-slip rubber bottom. The M12 x 55mm threaded rod is also included in the assembly. They can be threaded into the end of most 45 Series or 10mm T-Slotted Extrusions without pre-drilling. Ideal for leveling out your frame. The parts come un-assembled to better fit inside the box and save shipping costs. They just need a slight tap with a hammer to assemble.